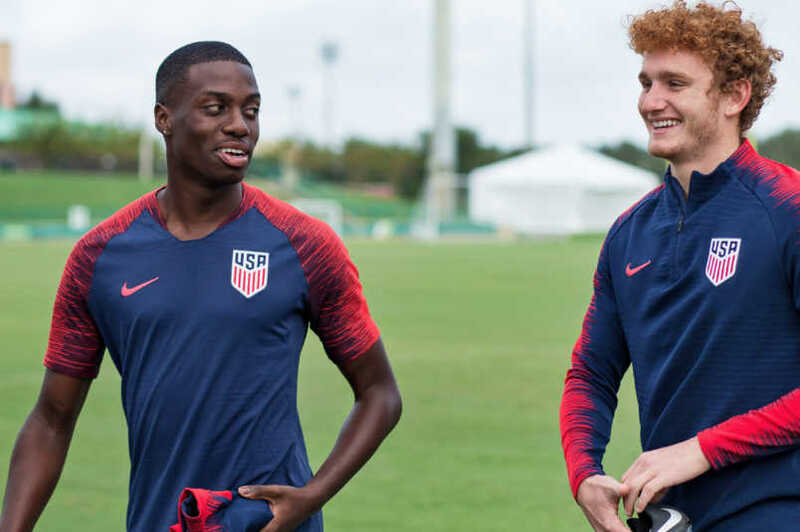 The roundup of USMNT players in Europe and Mexico starts with Timothy Weah debuting for Celtic in the Scottish Cup. Weah scored in Celtic's 3-0 home win over Airdrieonians. Scott Sinclair put Celtic up in the 37th and doubled their lead in the 56th. Weah subbed on in the 68th minute and scored in the 83rd. Celtic advances to play St Johnstone in the Fifth Round. 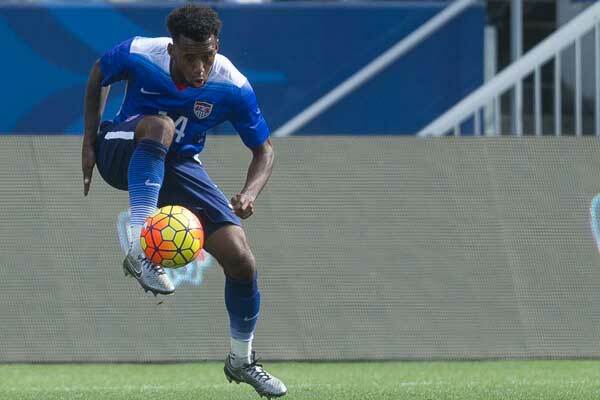 “That’s one of the best experiences I’ve ever had and have ever played in,” Weah said. “The Celtic fans, when I scored, it was like something out of a dream. Even when Scott scored, you could feel the fans, how they really are, and I’m really honoured and blessed to be here. “It’s always a good feeling to get that first goal on the books, and now I can go on to the next game with a bit more confidence." In the Bundesliga, Alfredo Morales's Fortuna Dusseldorf won 2-1 at Augsburg. Marvin Ducksch scored in the 45th with Augsburg equalizing in the 64th. Benito Raman scored Fortuna's winner in the 89th minute. Christian Pulisic subbed on in the 75th minute for Borussia Dortmund's 1-0 win at RB Leipzig. Axel Witsel scored the game's only goal in the 19th minute with Roman Burki making five saves to keep the clean sheet. Josh Sargent subbed on in the 79th minute for Werder Bremen's 1-0 win at Bobby Wood's Hannover 96. Milot Rashica scored in the 32nd minute. Wood subbed out in the 62nd. Weston McKennie had an assist in Schalke's 2-1 win over John Brooks's Wolfsburg. Daniel Caligiuri converted an 8th minute penalty to put Schalke up at home with Elvis Rexhbecaj equalizing in the 20th. Caligiuri scored again in the 78th minute. DeAndre Yedlin's Newcastle United shutout Cardiff City 3-0 at home in the Premier League. Fabian Schar scored in the 24th and 63rd with Ayoze Perez adding a goal three minutes into stoppage time. Tim Ream's Fulham lost 2-1 at home to Spurs. An own-goal put Fulham up in the 17th with Spurs equalizing in the 51st and scoring their winner three minutes into stoppage time. Eric Lichaj subbed on in stoppage time for Hull City in their 2-2 draw at Aston Villa in the Championship. Jarrod Bowen put Hull up in the 27th with Evandro Goebel scoring in the 37th. Villa pulled a goal back in the 45th and equalized in the 64th. Cameron Carter-Vickers subbed on in the 21st minute for Swansea's 1-0 home win over Sheffield Wednesday. Oliver McBurnie scored in the 65th with Erwin Mulder making four saves to keep the clean sheet. Lynden Gooch's Sunderland drew 1-1 at Scunthorpe United in League One. Josh Maja scored in the 59th with Scunthorpe equalizing in the 87th. Andrija Novakovich's Fortuna Sittard beat De Graafschap 5-1 at home in the Eredivisie. Fabian Serrarens had a hat-trick for Fortuna. Ethan Horvath was in goal for Club Brugge's 1-0 loss to Charleroi in Belgium. Charleroi scored in the 17th minute. Jonathan Bornstein's Maccabi Netanya drew 0-0 at Bnei Yehuda in the Israeli Premier League. In Spain's third division, Shaq Moore's Atletico Levante drew 0-0 at home with Cornella. Moving to Liga MX, Omar Gonzalez's Atlas drew 2-2 at UNAM Pumas. Pumas led with goals in the 24th and 31st minute. Juan Pablo Vigon pulled a goal back in the 58th with Pumas going a man down in the 76th. Vigon scored again a minute into stoppage time. Ventura Alvarado's Necaxa beat Michael Orozco's Lobos BUAP 3-2 on the road. Leonardo Ramos scored for Lobos BUAP in t 1st and 9th minutes. Necaxa's comeback began with a Martin Barragan goal in the 35th. Eduardo Herrera equalized from the penalty spot in the 54th with Angel Sepulveda scoring Necaxa's winner in the 63rd minute. Joe Corona subbed on in the 76th minute for Tijuana's 1-0 win at Leon. Gustavo Bou scored the game's only goal in the 27th minute.